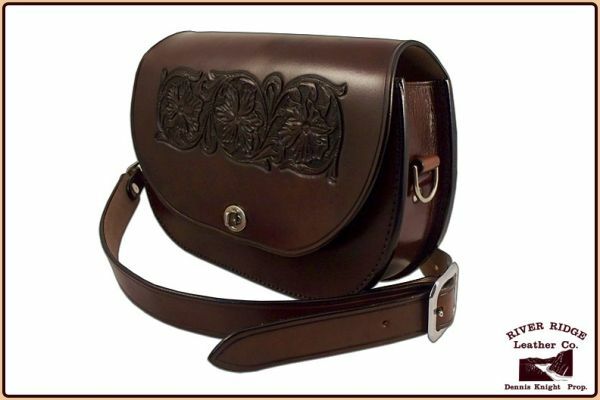 This shoulder bag is handmade from genuine, traditional vegetable-tanned Bridle and Saddle leather from 100% American hides. Handmade by Dennis Knight using only traditional leatherworking tools. Custom hand carving available. Available in Medium Brown, and Chestnut with Lifetime warranty for workmanship and materials for workmanship and materials for workmanship and materials. Hand-carved Western Floral Pattern shown. Please e-mail for other custom hand carvings available.